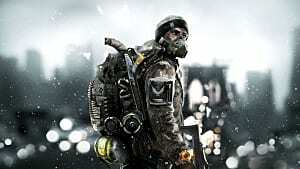 My take on The Division closed beta&period; "The PvP is simple&period; You step inside and simply ask yourself&comma; how much of a troll is this guy about to be&quest;"
If you're reading this, you're probably already tired of everyone comparing The Division to Destiny. But this review won't go that route. If I must make a comparison, I'd go with the in-the-streets firefight, over-the-shoulder shooting style of Grand Theft Auto 5 with the "Hey fellas, should we trust this guy with no bag?" 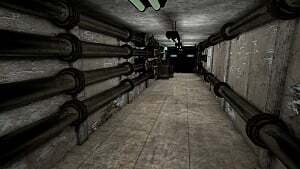 paranoia DayZ offers. Most of your story takes place from outside the Dark Zone. As of right now, it looks like players can do the story in single-player mode, or invite friends to team up and work together in a 4 man squad. This seems like a good route to stick with, considering that some gamers are not that into PvP. With that said, lets hope they keep the single player/co-op active with their DLC and expansions so that the game stays fresh and interesting. The Dark Zone is a place you wanna find a team for. If you choose to go in solo, you need to remember to stay on your toes, watch your back, take cover around every corner, and don't worry about that guy without a contamination bag sitting at the extraction you just called in. He and his buddies are only gonna kill you with 10 seconds left and extract the gear you found right in front of you. 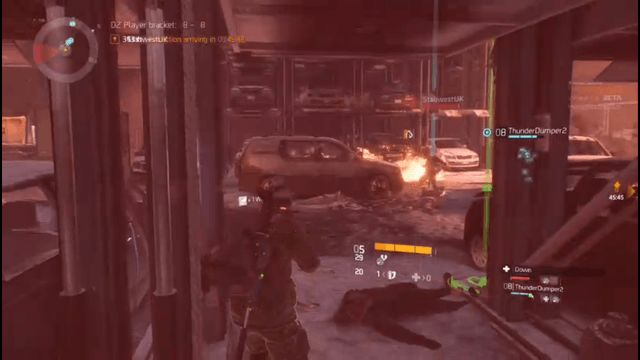 Throughout my PvP gameplay of The Division beta, my group and I decided we would be the ones to do a little Rogue Hunting out there in the Dark Zone. We would find extractions going on and help (protect) people while they extracted their loot. When rogues would arrive, we were there to take them down. If we were moving from one location to another and saw some people go rogue, we would take care of them. The RPG aspect to this game only adds to the competitive feeling of the multiplayer modes. Having a diverse set of talents, perks, and buff/mods for you personal talents -- on top of the weapons, weapon talents, and what seems like a wide selection of weapon mods -- makes each player very unique. But it also means that you can never quite tell what you're going to face. You may have the basic tactics down and know what role each person plays in the squad, but plans change all the time. The game seems to have barely any load screens, which keeps it moving at a steady pace, so the player stays immersed longer. I only loaded on initial log in and while entering the Safe Room inside the Dark Zone. When trying to join a squad that's a full server, the process of transferring your squad to a new server is shockingly smooth -- the smoothest I've ever seen. The only time I noticed that we switched servers was when the NPCs I was mid-firefight with just vanished. I did run into some glitches in this beta, but that's to be expected. Hell, most games still have a load of glitches even after release. While in group chat with only one other person, I came across a fellow Non-Hostile agent. We started speaking with each other, but in the middle of our chat my group member started talking. When he spoke, it dropped all comms with the non-hostile agent. I saw the indicator showing he was speaking, but I couldn't hear anything he was saying. I could only hear my group member. That same group member decided during the MSG to take a turn rolling in all different directions, which ended up getting him stuck inside a locker. He tried everything to get free, but ultimately had to leave group, log out, and restart the beta. The worst glitch of them all was the invisible people. It was the most frustrating glitch ever. My squad and I would be walking the streets of New York, and we'd start getting shot at or feel someone hit us. But there wouldn't be a single person in sight. Once one of us was downed and dead, the other squad members would see that someone killed their comrade, and they were next to be killed by the invisible player. 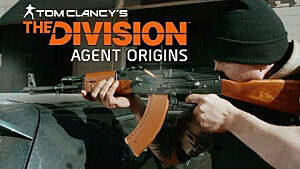 With all that said there could be some tweaks to the beta to improve gameplay and the overall experience. First off, I feel that there needs to be more hostile NPCs -- both in PvE and PvP. In PvE, this will keep us engaged and moving forward, while adding to the sense that not everything is under control (even with JTF around). 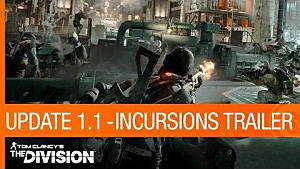 More hostile NPCs inside the Dark Zone means more players in firefights, which keeps them from turning rogue out of boredom. Apparel also needs better organization and/or the ability to sell/stash without using a huge amount of inventory.I LOVE the massive amount of clothing you can throw on your character, but scrolling through it all was extremely time-consuming and obnoxious. 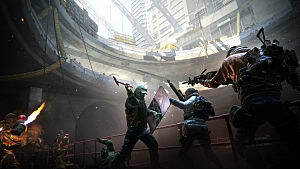 It would great if we could get some C4, or Proximity Mines, for the ambushes against rogues, or even non-hostile agents. (if that's the route you go). Smoke grenades would be another great addition. Tear gas and Flash Bang are awesome, and a great warning for players to back up or get killed. But for those times when we want to ninja escape out of a situation without having the semi-rogue, semi-hostile red health bar, let us toss a grenade that just clouds up an area and won't damage/harm another agent. 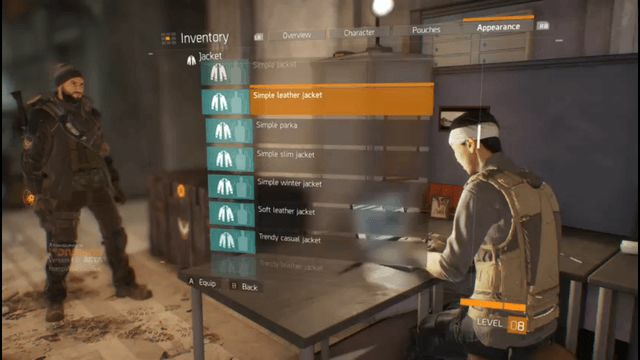 I'd also like to see clans/agencies where you can trade or mail items you may have looted from dead enemies in the Dark Zone. I saw a vendor like this during the beta, but he was unavailable to interact with further. Another note on the inventory front -- I enjoy the 'mark as junk' option, but I'd like to see a "lock item" option. That way, players don't run accidentally dismantle a sniper rifle they've saved in the inventory for certain situations. 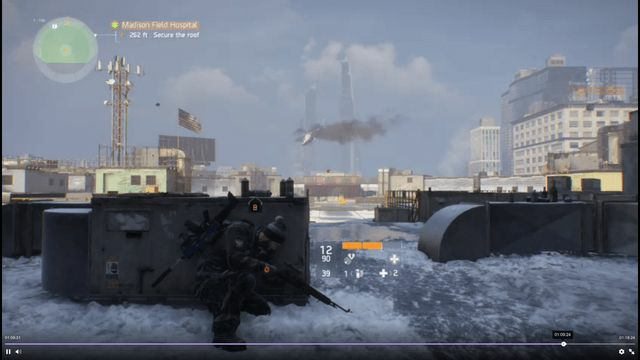 Finally, when "Down" in the Dark Zone, it'd be great to have a "hold to stop bleeding" option. Allowing the players to use their pistol for a sort of last stand would be great too. 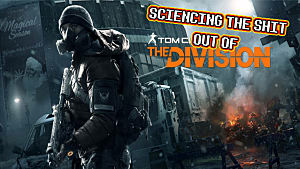 I really dig The Division. Although we don't know what the endgame could be or if we will see it soon (since expansion packs are already announced), the base game seems to be very solid and put together. 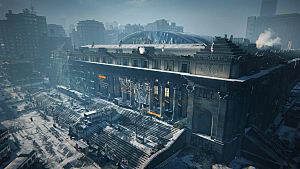 The Division was a very sought after beta that had to stop allowing people to enter. Servers filled fast, and the beta code demand was reaching a fever pitch. The developer extended it to try and allow more people in, but they still hit capacity on their servers. With an open beta coming set to launch in mid-February, we'll wait and see if the servers can handle the amount of people that have been waiting to try this game out since alpha.